If you want to reduce the cost of moving, you could pack up your possessions on your own. However if you do not have to worry about your budget, you can pass on this responsibility to the movers themselves. Before you make up your mind you need to take into account the fact that the exact, professional and secure packing of your belongings requires proper knowledge and preparation. 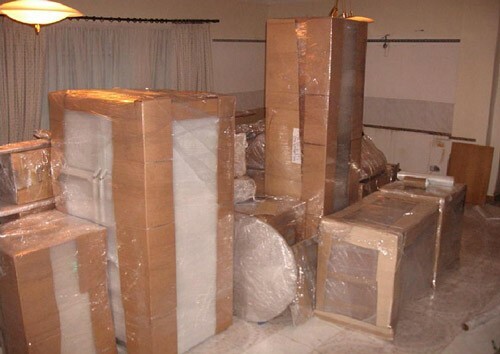 Full packing service - the mover will plan and pack all you household goods so you do not have to do anything. Fragile packing - all fragile or selected by you items will be packed by the mover - the rest by you. It is never too early to start the packing. Appropriate margin of time will allow us to obtain a full range of packaging materials, boxes and secure all items with due care. A common myth is that home equipment is able to "survive" not more than three moves. Preparing yourself and your stuff early and properly, you can disprove this rule. Do not try to fit all your belongings in one big box. Try to pack all heavy items in relatively small boxes. 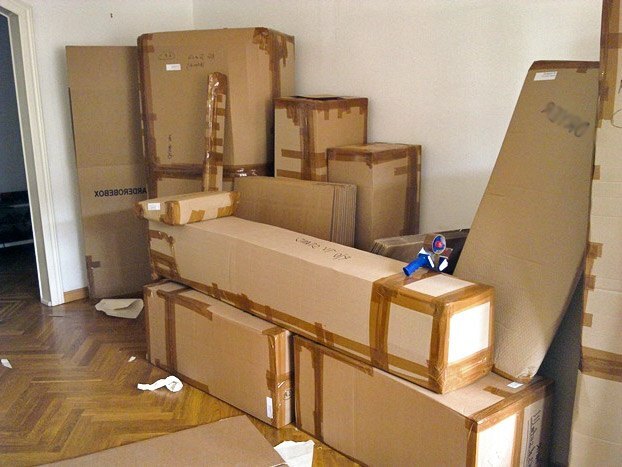 Large overloaded boxes will cause you a lot of problems while moving or can even fall apart. The simple rule is that if you have any problems with lifting a box then it is simply too heavy. Important advice - lift the boxes with the strength of your knees and not your back! Think about things that may be needed during the process of moving, and over which you should have the constant control. Do not pack anything that will fall into your hand. Make a list of things that you should have on hand all the time. In addition to your documents, credit cards, insurance card please also remember about jewellery, memorabilia collections and other items of special material and memorial values. Organize for them a separate box and move them in person. Off course as long as the size of those things will allow for it. Find out why you need padding and cushioning materials for safe moving! The most universal way of packing your equipment is to use cardboard boxes. If your moving company does not have them in its offer package, you can get them from a nearby grocery store where every day dozens of such packages are thrown away. However you need to keep in mind that the used packaging is not always suitable for packing heavier items. Heavier things can damage the bottom of a box. If you want to use a brand new boxes you can get them from an online shop. Just use any internet search engine and type buy moving boxes online. You can order and get them delivered to your home by a courier. Do not pack in a hurry! Make sure that all fragile items are packed with the total care. Each element susceptible to a mechanical damage should be wrapped in a bubble bag and put in a separate container. Please also make sure that all free spaces between objects in the box are filled with a paper to reduce the opportunity for objects to move. When packing, be sure to thoroughly describe the contents of each box. If the box are fragile or delicate items, remember to stick appropriate labels. A little more effort during the packing process will save a lot of time and nerve during unpacking. Before moving make sure your equipment is ready. Defrost the refrigerator, make sure that the washing machine and dishwasher are empty. Make a copy of the files on your computer. Make sure that all the wires and cables are shipped together with the hardware to which they are assigned. To make the packing easier and to speed up the process you can prepare one room in you house where you can store all packed boxes. Remember that it should be a place relatively close to the front door. How to pack specific goods? Start by sticking a tape on the mirror surface in the shape of the letter X. This will prevent the disintegration of the mirror in the event of breakage during the transport. Wrap all the edges with insulating material to prevent bruising of the edges. The whole free space in a cardboard box fill with crumpled newspapers. Wrap the whole picture carefully in a newspaper or an other wrapping paper and secure it from the outside with a cardboard. The other way to secure the paintings is to use a bubble wrap, which perfectly protects delicate items. Try to find a suitable container and fill the empty spaces with old newspapers or sponge. You can also ask your mover for a proper image boxes. If the image is protected by glass, be sure to apply the tape in the shape of the letter X. To pack these items you will need a box that is approximately one-third larger than the dimensions of the transported exhibit. Excess space is necessary and it must be filled in with an insulating material to protect our item from shaking. Both the sculpture and the crystals must also be wrapped in the bubble wrap and taped. Prepare a large amount of wrapping paper with dimensions corresponding to the size of plates. Arrange dishes vertically one next to another separating them with another sheet of paper. For the sake of stability in the container, fill empty areas with crumpled newspapers. In addition to the necessary materials, you will also need a lot of patience. Each piece of the dish should be wrapped in bubble wrap, paper or newspaper. Wrap the dish in such a way that the paper does not lose its elasticity and resilience which give better cushioning and protections. 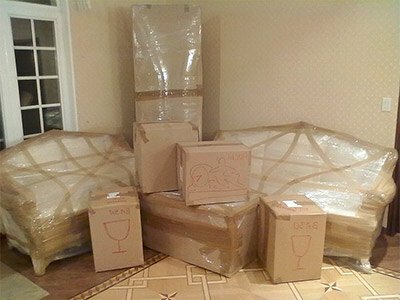 Very often even when the packing has been done properly due to the carelessness of the interntional moving firm you goods may get damaged. Find out what to do when the goods have been damaged during the transport.